★ The Meaning of Home ★ New Contributors. Mew Style! The International Lens Magazine Issue #32 - PUBLISHED!This month's issue is a really exciting one. We feature eight new contributors who exhibit extraordinary series of work, their interpretation of the most important subject "The Meaning of Home". 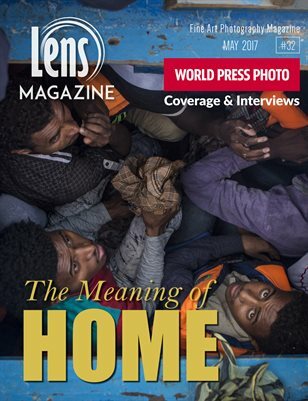 More than that you will find a full Coverage of the prestigious World Press Photography contest, with four interviews with winners of the different fields. We welcome the new contributors and wish our readers lot's of enjoyments from this special new issue. We wish most of success to the developing and growing Lens Magazine's team!